Heidelberg escaped most damage from World War II, so one can enjoy the beautiful, well-preserved castle, which was constructed before the thirteenth century, as well as the Old Bridge (eighteenth century) that spans the Neckar. 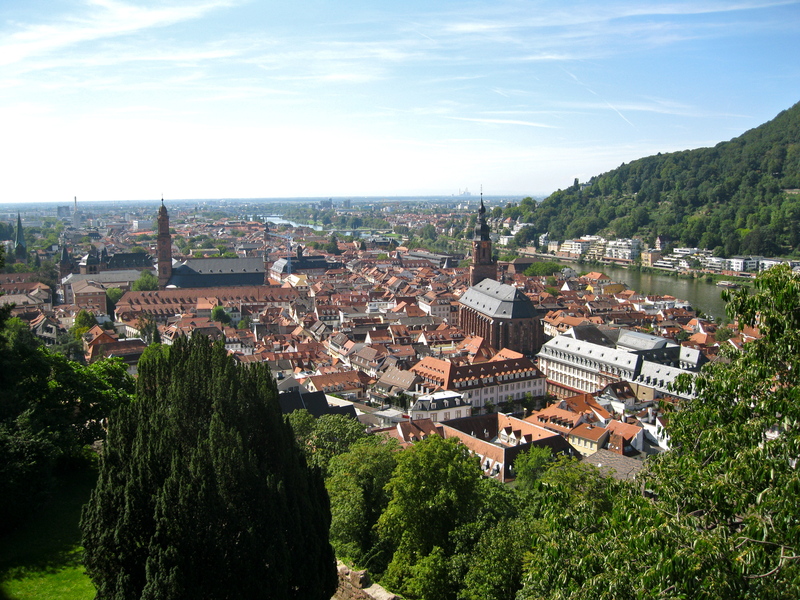 The earliest evidence of human life found in Europe was discovered in Heidelberg in 1907, and the area was occupied by Romans until Germanic tribes took it over in 260 AD. Heidelberg itself was founded in 1196, which is when the first record of the town was mentioned in a document found in Schönau Abbey. 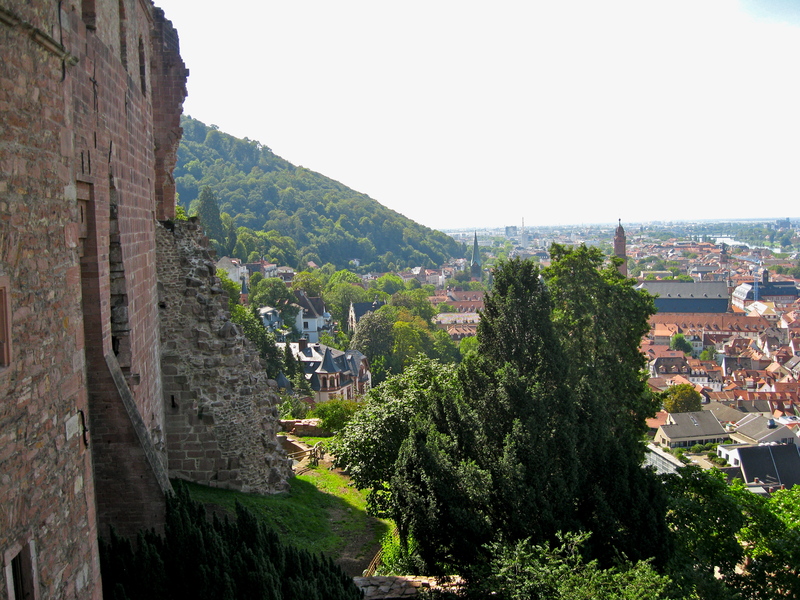 The Heidelberg Castle has been expanded, renovated, and rebuilt over the centuries, as it has experienced several wars, fires, and lightning strikes. It sits majestically on the hill above the Altstadt (old town) and provides an amazing view of the city nestled upon the Neckar. We did a lot of walking in Heidelberg, first down to the Neckar river to explore the Old Bridge, and then up to see a bit of the University, which was established in 1386, and finally up the merciless stairs that lead to the castle. Because it takes so long to travel from Horb to Heidelberg, we only had four hours in the city, which included about 35 minutes at the castle. In that time, we were able to squeeze in a dance on top of the Heidelberg Tun, a wine barrel with a capacity of 219,000 litres (yes, it was actually used), but we weren’t able to visit the gift shop or really explore the castle in-depth. The view from the castle is spectacular, and especially on a clear, sunny day like yesterday, caused me to fall a little bit in love with the beautiful city. I shall be spending the rest of today relaxing as much as possible. In less than 24 hours, I walked a total of over 36,000 steps, which adds up to about 17 kilometers. My feet are feeling rather sore from that undertaking, so they deserve some TLC.